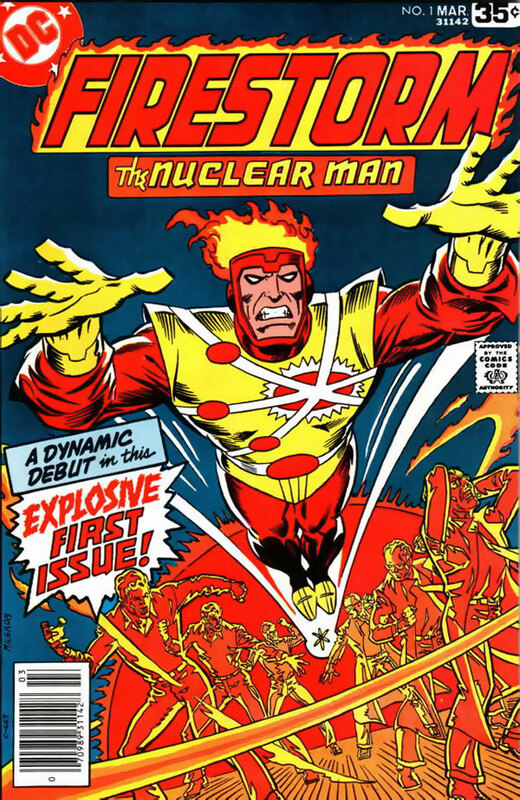 Be sure to pre-order your copy of the FIRESTORM THE NUCLEAR MAN trade paperback ASAP! Most local comic book shops will be placing their orders for this collection with their distributors within the next few days. Don’t miss the chance to pre-order this trade paperback! Even if you already have the issues, order a copy of this trade! Let’s send a clear message to DC that we’ll support Firestorm comics in trade paperback format! If you want to see further Firestorm reprints, such as collected editions of The Fury of Firestorm series, then order this trade! By purchasing a copy you’re also supporting creators like Gerry Conway and Al Milgrom! Order today! Support Firestorm! It’s not just slogan! Seriously, SUPPORT FIRESTORM by ordering this trade paperback! Fan the Flame! Posted in: Al Milgrom, Comic books, Firestorm #01: Original (Ronnie/Martin), Firestorm comic vol. I, Flash back-up stories, George Perez, Gerry Conway. Ordered 3: me, a friend, and my local library. @Keith – Ordering a copy for your library is a great idea! How does that work? Do you just buy it yourself then donate it to the library? Never done it before. However, I have a stack of trades and was meaning to find out. According to my local’s website, they have a list of titles they need, but will take any used book donations. Any books that they already have they’ll sell at their next book fair. @Keith – That’s really cool! I encourage everyone to contact your local library about donations. If they’ll take a donated comic book trade paperback and put it on the shelf, then order a copy for yourself and one for your library! Thanks to Keith for the suggestion!